Now that Ashtanga has become much more popular, it’s common to find Led intermediate classes in many shalas. This is a huge blessing and there are so many wonderful teachers out there, but if you are anything like me before I took my first Led intermediate class, you’ll be pretty nervous. It doesn’t have to be that way. Of course, anything new will bring about some nerves but there are ways in which you can actively go into the class, have a good experience, create a very positive outcome and learn to enjoy the process. In Ashtanga, if you are a diligent practitioner you probably know that if you were to pick and choose the poses of Led intermediate out of context, they’re not so difficult. But when you line up all of these poses in a particular order, it becomes a lot harder. 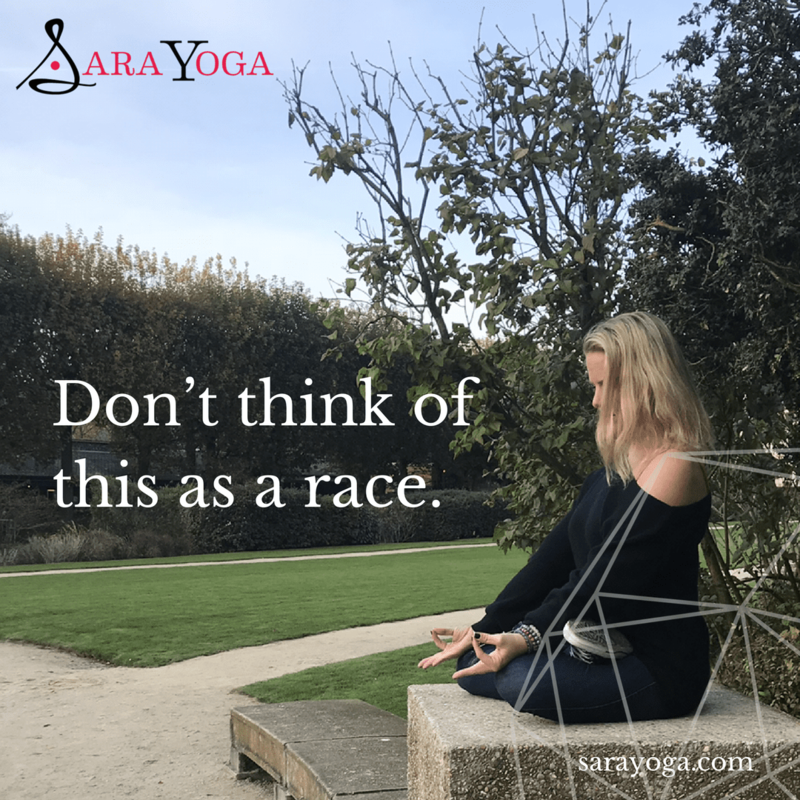 When you then add the element of not being able to control your own pace, of someone else calling out the pace for you, it becomes even more difficult. At that point it becomes a head game, with you trying to stay mentally focused instead of allowing your mind to spin out of control. Today I’d like to share my tried and tested strategies for surviving (and learning to love) your Led intermediate class. Don’t work too hard at the start. But if you apply so much of yourself in the first half of practice, when the second half comes, you’re spent, you’ve got nothing. Let the standing poses be easy, let the first half of intermediate, with your gentle therapeutic back bends, feel really nice. Don’t go to your deepest place just because you can. You’re going to need that energy later, and you’ll be thankful you conserved it when you get to some really challenging poses which will be held for a long time. Take deep breaths, go slowly, don’t work too hard in the beginning. You’ll thank me later when you’re holding both legs behind your head for 25 breaths. Take your time getting into each pose. You don’t want to be the first person in each pose, especially the ones which you find difficult. Take it slow. There will usually be some time for you to get into poses, and once you get there you can’t get out. So maximize your breath going in, take your time, don’t shoot to be the first one in each position. You’re gonna need to save your energy, again, for the harder things which comes later. Give yourself permission to go at a nice, leisurely pace. You don’t want to think of this as a race. Allow your body and your breath and your mind to work into each pose slowly and methodically. The day before your class matters. The day before your Led intermediate class should be a rest day. That means rest. That doesn’t mean do all of your errands, spend the whole day socializing, talking on the phone with all your peeps… no. That will drain you completely. You want to go into your Led intermediate class rested and hydrated. If you’re a caffeine drinker, or you’re somewhere hot, hydrate extra. Be mindful of conserving your energy in ways not just related to food and sleep but in your socializing. Take that time to get quiet, be mindful, do your self-care things. If an oil bath makes you feel great, do that. If going to bed early makes you feel great, do that. It sounds obvious but you have to take the time to do it. It doesn’t matter if you do half the intermediate before you stop; it doesn’t matter if you finish the class. Let yourself take a long rest (shavasana or sukhasana) at the end. 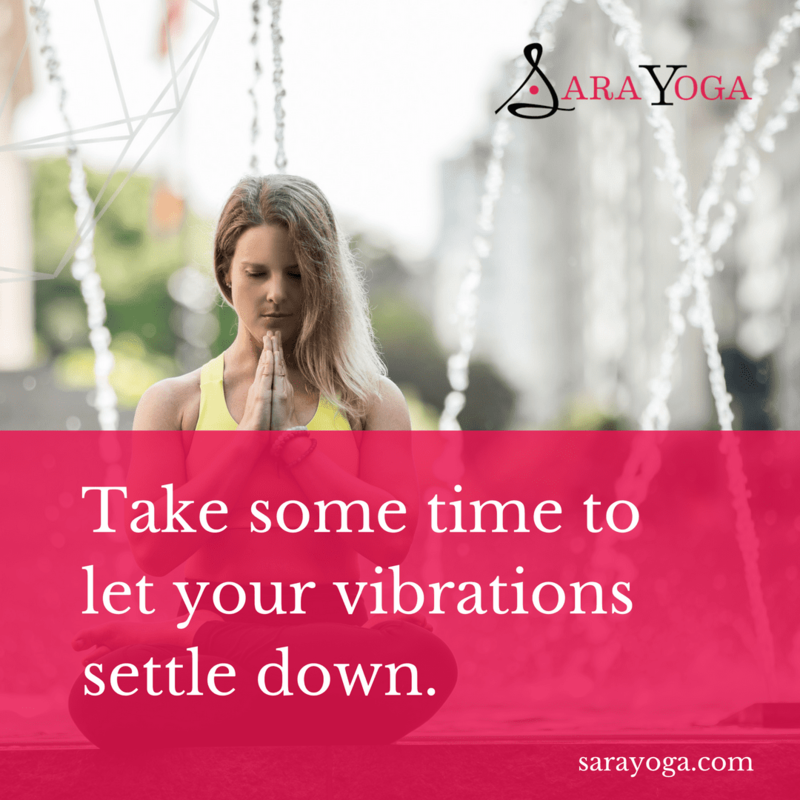 You’re going to want to take some time to just let your vibration settle down. Usually after a Led intermediate class I drink a couple of coconuts and I go home to lay in bed for a little while. Just let things settle in. Give yourself some time afterwards. Eat a nice meal, don’t be in a rush to check all the things off your to do list. Even if you’re scared, you can enjoy it. Know that you’re about to undertake major learning. Whenever I’m in that room with all of my peers, who are so accomplished and so focused and thoughtful, I always feel like I’m being handed some real Jedi powers. There’s a level of mindfulness which I take away from Led intermediate class which doesn’t happen to me in any other environment. It’s a laser beam type of focus. Trust me, you’ll have more fun with it than you think you will. Appreciate the learning which is transpiring. Appreciate that you have to force yourself to focus on your breath and nothing else because it is that intense. There’s great beauty that comes when you don’t have the mental space for any BS or any excuses, you’re just going to peel off the layers of that onion and see yourself in the deepest, clearest way. Though it is challenging, it’s also really a huge gift and I, believe it or not, can’t wait for my next Led intermediate class. I hope it’s sooner rather than later!